Shanghai: the Pearl of the Orient shines brighter than ever! Shanghai is the Chinese city touted by most Western expats (if you exclude Hong Kong, of course, but is Hong Kong really Chinese at all except on paper?). And by looking back over its history, we now have a greater understanding of what makes China’s most populated city so appealing. From Western concessions founded in 19th century to multinational companies that have established their HQ here, Shanghai is certainly a cosmopolitan city where east meets west. Here are four walks that will help you explore the “Pearl of the Orient” that the entire world has (re)discovered since the Universal Expo in 2010. Shanghai has the highest population of any city in China with 26 million “official” residents (as there are really almost 30 million with numerous legal workers who flock to the city from around China). Shanghai is split in two by the Huangpu river: Puxi (the old city and central tourist hub) and Pudong (the new business district that has been constantly developed over the past twenty years). Arty Shanghai: its unrestrained artistic side! In all its forms, art is the latest fad to makes its fortune in China. Chinese artists are becoming more and more popular. And a city as cosmopolitan as Shanghai could never escape the arty madness that has taken hold of China. 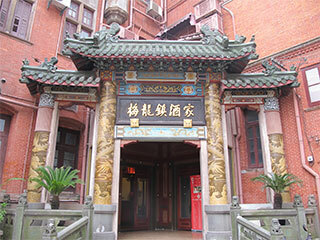 It is the Moganshan district that houses the largest number of art galleries. And it is also there that you may find a vast array of walls serving as canvases to street artists. You could almost say that you have to pass by these graffitied surfaces to unearth M50, the largest complex of galleries. At the start, these former textile warehouses were squatted in by artists. And at the start of the 21st century, it is here that they reside in perfect, expansive and clear studios. Officially dubbed a “creative industry park” and named by the Chinese authorities, M50 today is more of a reorganisation of galleries roamed by chichi expats and rich Chinese. Thus, these artists are more often found in dusty workshops than whitewash galleries slightly further into the immense Shanghai suburbs. M50 has without a doubt lost a little of its authenticity in the eyes of those who ventured there ten years ago. The gentrification that strikes wherever trends establish themselves has also invaded here. But M50 remains an unmissable part of the Shanghai experience. And if your budget forbids you from purchasing a several million Yuan painting, swing over to bohemian hub Tiangzifang. These alleyways have been colonised in an anarchic manner by hundreds of boutiques. Local designers rub shoulders with affordable bars and restaurants, which are always buzzing. The perfect place to discover several “made in China” trifles – far from the usual junk! To journey through to the past and into the future of Shanghai, turn away from the old art deco buildings on the Bund. From the other side of the Huangpu river is Pudong, the Chinese Manhattan. Just twenty years ago, Pudong consisted of nothing more than a few fields. And no Shanghaiese would every have dreamed of crossing the river. Back then, it was very complicated and only accessible by small boats…Today, several bridges and numerous tunnels link the city-centre and this business district that sees new buildings sprout up every month, adding to the city’s often hazy skyline. 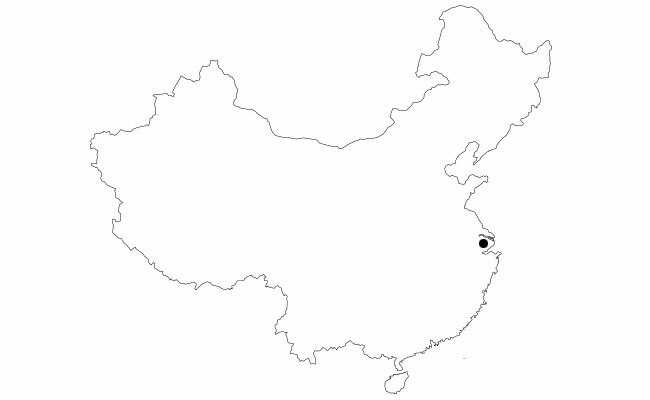 The Oriental Pearl Tower, which was built long before the others in 1994, is already an ancestral figure besides the huge skyscrapers that have shot up since. Its 468 metres no longer rule the skies. It is now overshadowed by the World Financial Centre – nicknamed by the Shanghaiese as the “bottle-opener” due to its shape. And it too will soon be eclipsed by a new 600m tower, which is currently under construction. The Pearl Tower consoles itself in the fact that it has already become one of Shanghai’s official icons and certainly remains the most photographed structures by the millions of tourists that survey the Bund. Wander Around March 2015 – Spend the winter in Quebec!